Dynamax medicine balls were the first balls on the market with enough padding to be used safely at high velocities. The success of the Dynamax medicine balls is largely responsible for the current widespread use among athletic programs and fitness facilities. They have spawned many competitors. As a result many implements labeled "medicine ball" are available, but not all balls are created equally. To avoid the pitfalls of selection, one should ask this primary question: Can I catch this ball when thrown at its highest velocity? If the answer is yes, you have a training tool for life. If not, you need to consider Dynamax. The Dynamax “Foundations” DVD will introduce you to revolutionary partner based high-velocity exercises along with simple programming tools to get the most out of your Dynamax Medicine Ball – unleashing your potential as a trainer, coach, athlete, or fitness enthusiast. Custom Color Dynamax Balls have a 5-7 business day lead time and are only available in the US. These are made to order products so all sales are final. **Dynamax DVD is not included in Free Shipping Promotion. Dynamax Medicine Balls is rated 4.8 out of 5 by 17. Rated 5 out of 5 by Debbie247 from Awesome They have these at my gym and really wanted one for myself. So happy with my purchase. Rated 5 out of 5 by Klean from Great Ball I bought this a month ago and use it with my clients again a rebounder, floor, wall etc. 10 lbs is perfect. I know I'll buy another. Rated 5 out of 5 by Zach11 from Excellent Purchase I've owned my Dynamax Medicine Ball for 8 years now and it has held up wonderfully. I use it exclusively for wall balls and med ball cleans and have had no issues what-so-ever with its durability. 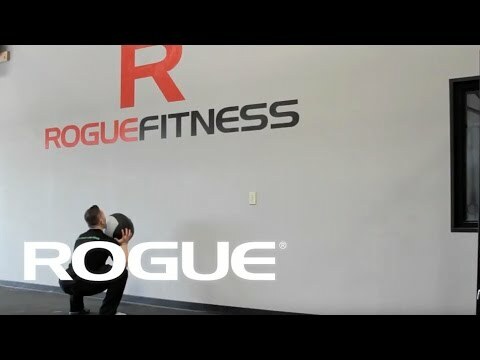 If I were looking to buy more, I would consider looking at the newer, Rogue-brand ones simply for the lower cost and because I trust Rogue to put out nothing but the best equipment, but my experience with these Dynamax balls has been excellent. Rated 5 out of 5 by Lucy from simply the best I had used this brand in my CF box and when I was looking to buy for my own garage gym I knew I wanted good quality. I did a lot of research and I do not regret spending more on this brand. I bought the 14 lbs. and use it a lot. You won't regret buying this kind of qualify. Rated 5 out of 5 by TJB1 from Best medicine ball I bought two for home use after months of using different brands at the trainers. These hold up the best. The retain their shape and the outer skin is durable with smooth wear. Rated 4 out of 5 by Boyinblue from Love dynamx, one worry though. I have the 25 pound in yellow and black, I trained with the basic grey and black in highschool, (5 yrs ago). I baught this one and the stiching seems to open more than the ones I use to use. I hope it doesn't give. I only do vertical slams, and side slams. It has a great and predicatable bounce. Some of the inside fluff puffed out but shouldn't be an issue. It wasn't much. But over all this thing is great. I'm wondering if I should have got their mma version. But the basic version help up very well in highschool, we had the 4lbs-30 lbs. The 30 was insane!!!! They were all great no matter the weight. Rated 4 out of 5 by ElPolloPicante from Amazing ball Got the 30lbs ball a few months ago and overall it's a solid piece of equipment. I'm throwing 20lbs balls up now like its a joke. The only issue I have is that the 30lbs ball feels like the weight in the inside is off center. Catching the ball sometimes is really awkward as the weights shifts. Other then that it's a great buy. Rated 5 out of 5 by Jeremey from Great med ball I got the #20 med ball for Christmas and love it I have used it for everything from wall balls, ball slams and running with it for some extra weight. It feels good and the stitching looks like it will last a lot of abuse. However got this and then Rogue came out with there version of the Dynamax. That being said if I had the option then I would have gone with the Rogue just for looks... Sounds sill... I know.